On August 26th, cyclists and book lovers ascended on Evergreen Brick Works to hear some of their favourite authors share their work. The theme of the day fit perfectly with the overall theme of The Reading Line: mental health, nature and exercise through the lens of literature. The bike ride began at the Children’s Peace Theatre in the morning and by the afternoon, Evergreen Brick Work was full of bikes of all shapes and sizes. Author Robert Burley spoke to the group, sharing his experience photographing and exploring Toronto’s ravines. He shared extraordinary photos, told stories of getting lost just minutes from his home, and how he feels the Don Valley is one of Toronto’s best kept secrets. Novelist Alissa York then read from her new work The Naturalist, connecting her time spent with nature in Toronto and beyond to the story to her writing, which involves tales of loss, discovery and love, set in 1867 Philadelphia. While York was reading from her novel, several tiny audience members joined her at the front of the room for a closer listen, proving that the love of nature and reading can start young. Nadha Hassen, a specialist on the impacts of nature on mental health, shared an excerpt from her children’s book Dancing in the Rain. Hassen was able to eloquently connect her stories from children with her research on health and the built environment. The audience was engaged and compassionate about her insight on designing parks and outdoor space for all ages and abilities. Literature lovers in attendance were able to then enjoy a book signing and a “meet and greet” with the authors, before heading on their way to the final stop on their journey: Corktown Common. 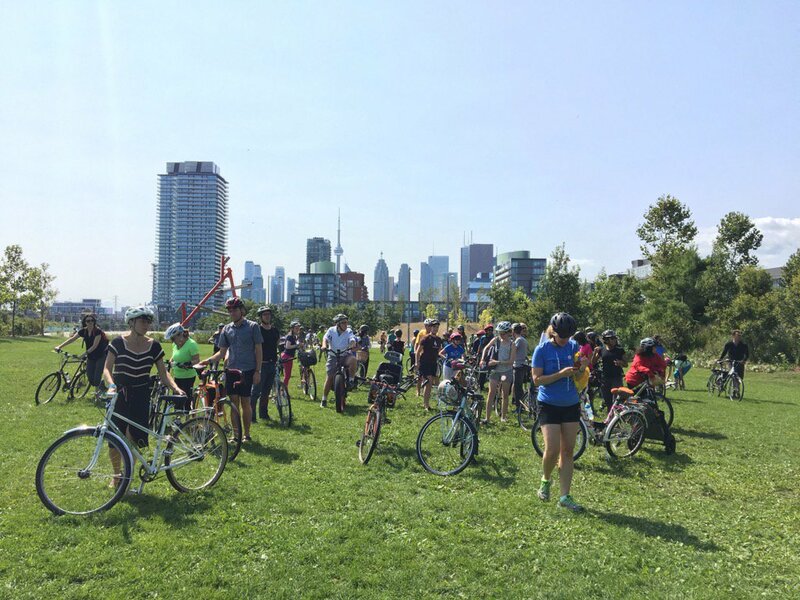 The event would not have been possible without the generous support of The Great Trail, our Don River Valley Park Advocates, The Reading Line team and the Evergreen Garden Market staff.